Are You a Real Estate Investor or a Landlord? If you’re a would-be real estate investor in Hagerstown, the struggle is real. You’ve heard how awesome it is to invest in real estate, but you’ve also heard horror stories about being a landlord. It’s great to have the “investor” title, but not so great to carry the “landlord” moniker. There is, of course, an easy way around the latter. Hire someone to manage the properties in which you invest. This makes real estate investment passive and takes away your day-to-day involvement. It comes at a financial cost, however, which eats into your margins. 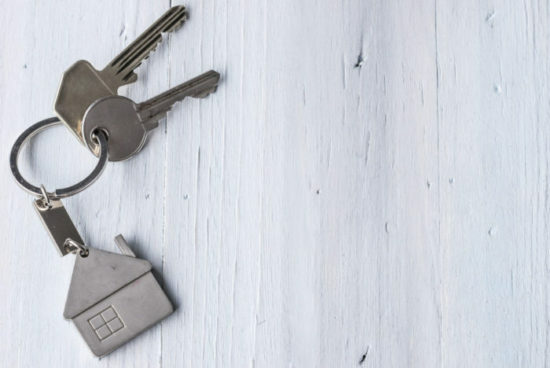 The alternative is to be involved in the day-to-day, which, you might conclude correctly, makes you a landlord, the very title you wanted to avoid. The landlord horror stories are what you remember – the tales of others who’ve answered midnight phone calls about overflowing toilets or tripped circuit breakers. Cautionary tales about tenants painting walls hot pink without permission. But ask any real estate investor what the far more common headache is, and they will tell you: It’s getting paid. As a landlord, you go to an investment property and try to collect rent. A landlord waits patiently at the mailbox, waiting for that rent check to come. A landlord makes phone call after phone call, chasing rent each month. But a real estate investor in Hagerstown automates that stuff. A real estate investor charges a credit or debit card each month, sets up automated electronic deposits in his or her bank account, or even takes PayPal for rent due. All of these things are available for free, or next to free, and help take your time out of the rent-collection equation. Landlords go online and download generic leases. Real estate investors, sometimes with the help of an attorney, draw up legal agreements that allow them to legally dictate terms and set expectations for the tenant. A simple clause such as requiring a tenant to be responsible for the first $100 in repairs for something they caused, not a structural defect, can work wonders. A lease that establishes the difference between emergency and non-emergency calls to the owner of the property can work wonders. Avoid problems, if you prefer to deal with fewer issues as a landlord , you need to have tenants sign a lease that firmly establishes the parameters of your relationship with them. If there’s ambiguity, they will call you. If you set ground rules at the start, in writing, and they sign off, you will have fewer landlord-type issues. Once you have a firm groundwork set up on paper, keep your distance. As long as your tenants don’t violate the terms of your lease, let them be. Unless you want to be a landlord. If that’s the case, yes, call every week to make sure they’re cutting the grass. React when a neighbor calls you about your tenant’s kid’s ball going into their yard. Ask about their shower habits if the water bill is suddenly $10 more this month. Those are things that landlords, do. As long as they’re not damaging your property and as long as they’re paying their rent on time, there is no need to interject yourself into their lives. That’s what real estate investors do. If you can’t completely resist this lure to be a landlord, drive by the property every now and then to make sure it’s not falling apart under their watch. Aside from that, stay out of the way. Real estate investing can be lucrative. But a real estate investing career is not the same as a landlord career. It’s best to decide which you want to be. Because trying to be both doesn’t do any good for anybody.